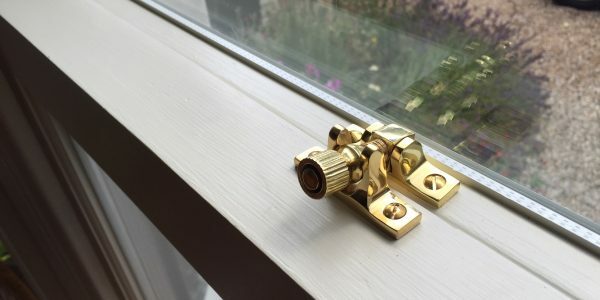 London & Herts Sash Windows carried out a full restoration to the sash window, but at the clients request worked extremely carefully to remove the existing glazing to carry out the restoration. 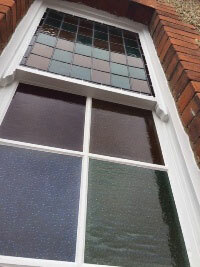 The stained and hammered glass was then refitted. 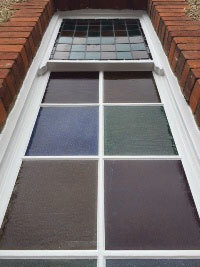 At this property in Hoddesdon, Hertfordshire, the sash window that our client required restoring was a large sash with leaded glass in the top sash and coloured hammered glass in the bottom sash. 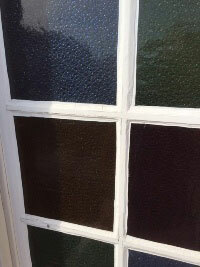 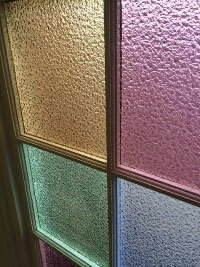 The design of the window and glass work was exactly the same as many of the neighbours in a row of houses. 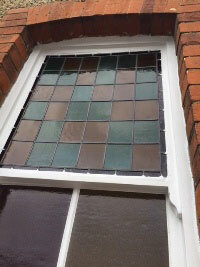 The owners of the property were very keen on restoring the sash window, but keeping the original glass and style. 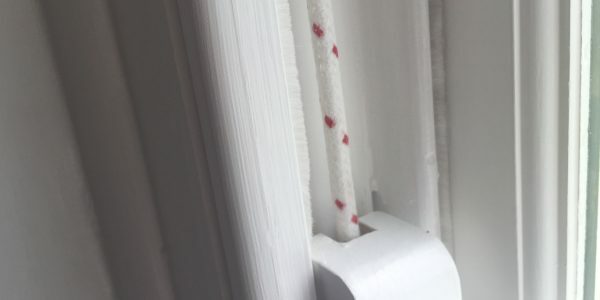 London & Herts Sash Windows carried out a full restoration to the sash window, but at the clients request work extremely carefully to remove the existing glazing to carry out the restoration. 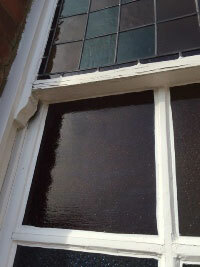 All glazing was refitted and the sash fitted with a fixed top sash and draught proofed bottom sash. 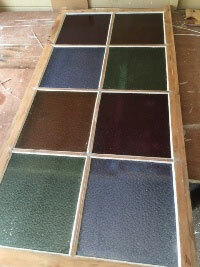 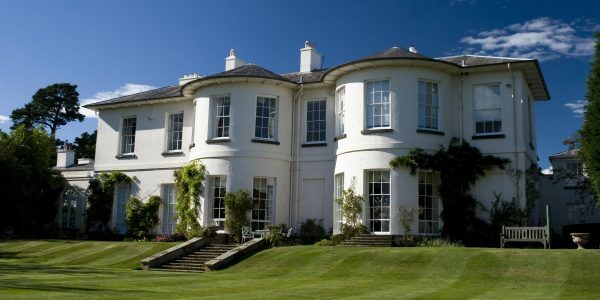 The result was a fantastic looking, and fairly unique sash window that will last for generations in the future. 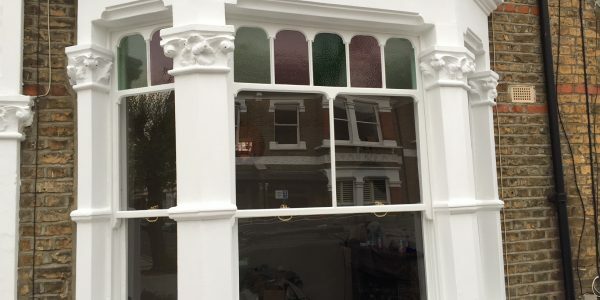 Below are some images of before, during and after the restoration service carried out by our dedicated and experienced craftsmen. 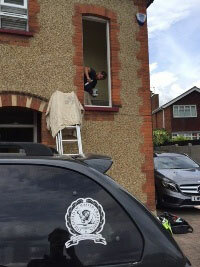 The client was extremely pleased with the result! 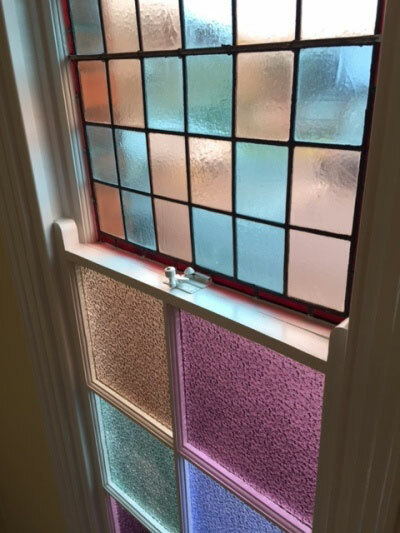 The project shown above is just one of many recent pieces of work where we were required to restore an existing sash window whilst keeping the original glazing.